Browse Istanbul | Musical Instruments | GAK. 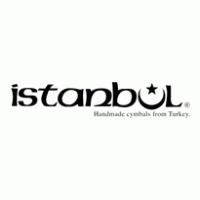 Istanbul Agop Cymbals is a cymbal producer based in Turkey. Its products are well respected for their unique sound, which is formed by the method and the alloy used. The art of Turkish cymbal making dates back to the 16th century, the time of the Ottoman Empire. The very first cymbals manufactured in Turkey were actually bells, created for the use in churches. Later on, as the story goes, cymbals were produced for the Ottoman military band. In the 20th century, it had become well known that Istanbul had evolved into the cymbal-making capital of the world. Generations of master cymbalsmiths developed, refined, and redefined this art in their endless search for perfection. They formulated the most musical alloy and developed and tested hand-crafting methods which had been used for centuries. The new Istanbul A.R.T series cymbals are highly versatile. Dry, controlled explosion with a short decay. Dark sounding, dry and low-pitched hi-hats with a woody stick definition. Woody stick definition, dry overtones and wash. Exotic and dark. Full sounding china sound. Paper thin, dark, dry and low pitched. Dry stick definition with warm and complex overtones. Mellow crash/ride capabilities. OM Crashes are paper thin, with an explosive attack and a quick decay. Open, full and rich with good volume and projection. Designed to be distinctly modern yet rooted in the classic cymbal sounds of the 1960's. Extremely dry and dark, crisp chick sound. Versatile, A little bit brighter than the Om Hi Hats, and a little louder and more open. But still quite dark and crisp. Ultra dark sound with dry, controlled wash.
Dry strick definition with warm and complex overtones. Mellow crash/ride capabilities. The 22 OM Ride has a clear, slightly metallic stick due to the unique black finishing and intense hammering, and features a dry, trashy crash sound. A musical, well defined ping but with plenty of body and musical overtones. A very clear and pronounced bell.